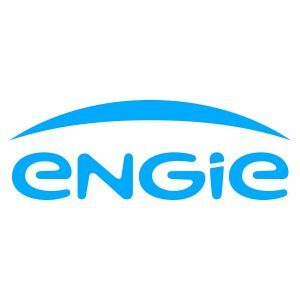 Engie Energy unbiased review: How do they compare? Are you considering a switch to Engie? Have a look at this guide; it will tell you everything you need to know about Engie Energy, as well as what their customers are saying. With a history that spans back as far as 1800’s and from France, Engie Energy is a relatively new name for what is the result of many years of merging with industry leaders to provide energy all over the globe. With bases as far away as China, Peru and Australia, Engie Energy is one of the largest suppliers of power in the world, with revenue in 2016 of €66.6 billion. For an idea of the quote, you might be able to expect from Engie Energy, see the tables below. These are just for informative purposes; your estimate may be a lot different as it depends on your circumstances, such as your location and the size of your household. You can use this as a loose guide to compare suppliers, however. As well as offering electricity and gas, Engie Energy also provides their customers with these perks. 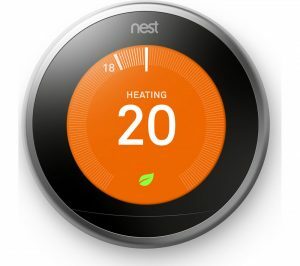 The Nest Learning Thermostat is a smart system that allows you to control your heating and hot water based on your budget. It works with sensors to consider some factors to efficiently and effectively heat your home. All you have to do is choose how warm you want your house at what time, and the Nest Learning Thermostat™ will do the rest for you. Engie Energy aims to offer renewable energies to everyone, which is why they keep those sources at the forefront of everything they do. Engie Energy gets their renewable energy from their sources, which you can see here. When it comes to customer support, Engie Energy has a mixed review online. Some of the positive reviews say that they are easy to switch to and have a friendly staff, but on the other hand, their negative reviews express that they feel that the team is untrained and do not assist customers. Friendly telephone team, easy to switch. Trying to phone them is a damn joke as they employ useless people that don’t care and provide no assistance whatsoever. Below you can see the main points that make up the various tariffs that Engie Energy offers, including whether they are fixed or variable tariffs and the perks that come with them. Fixed: Fixed rates mean that the cost of your energy will not change, usually for a certain amount of time that is generally between one and five years, depending on the supplier. Variable: A variable tariff means that your energy costs will increase and decrease depending on the wholesale energy market, which can be affected by anything from the time of the year to political relationships with places like Russia and the middle east. Although Engie Energy is one of the largest energy suppliers in the world, their UK arm hasn’t got a lot of reviews on Trustpilot yet. However, from the reviews they do have, they have been allocated a poor 2-star rating, but this is only out of 26 reports in total. Online reviews aren’t always accurate or reliable, though they should still be considered when deciding whether to switch. Signed up as they had a good price for renewable energy, and to be a little bit more socially responsible. Cheapest of the renewables at the time and I’ve no issues at all on transfer or along the way. I joined Engie 18 months ago, and it has been downhill since there. My meter had been faulty (night and day randomly switching around). I discovered this in February when my bills were more than doubled from £60 to £120 and now at £200 per month. Engie Energy would be an excellent choice for customers that want the stability of a large energy company, who offer cost-effective tariffs and renewable energy. Are you ready to compare? Check out what your options are right now. Engie Energy is one of the largest energy suppliers in the world, with a turnover of billions of pounds and customers all across the globe. Customers can enjoy that stability of being with a more significant supplier as well as the perks that come with it, including 100% renewable energy and low costs. M&S Energy unbiased review: How do they compare? Spark Energy unbiased review: How do they compare? The Utility Warehouse unbiased review: How do they compare?